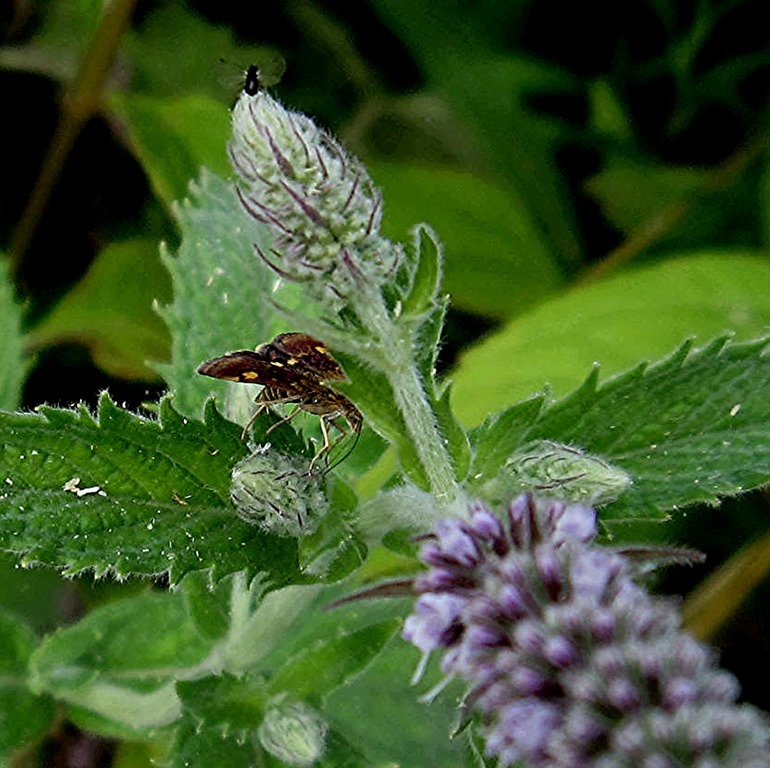 Leaning over the garden fence the other morning, I caught sight of a tiny moth flitting about in the guerrilla garden. It stayed while I went indoors to fetch the camera, and obliged me with a few shots. Then I went back inside and googled ‘very small diurnal moth UK’ and ‘images’ and up it popped. 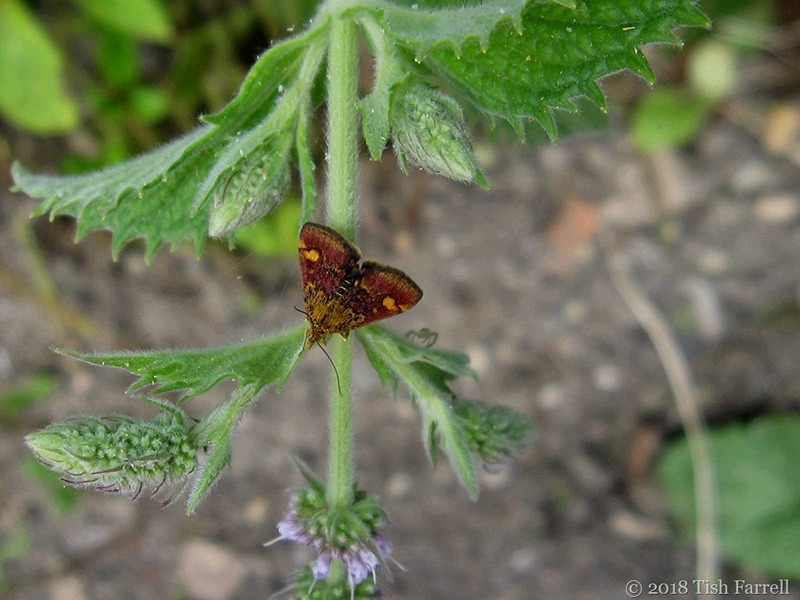 A Mint Moth, says the font of some wisdom that is my PC – Pyrausta aurata. 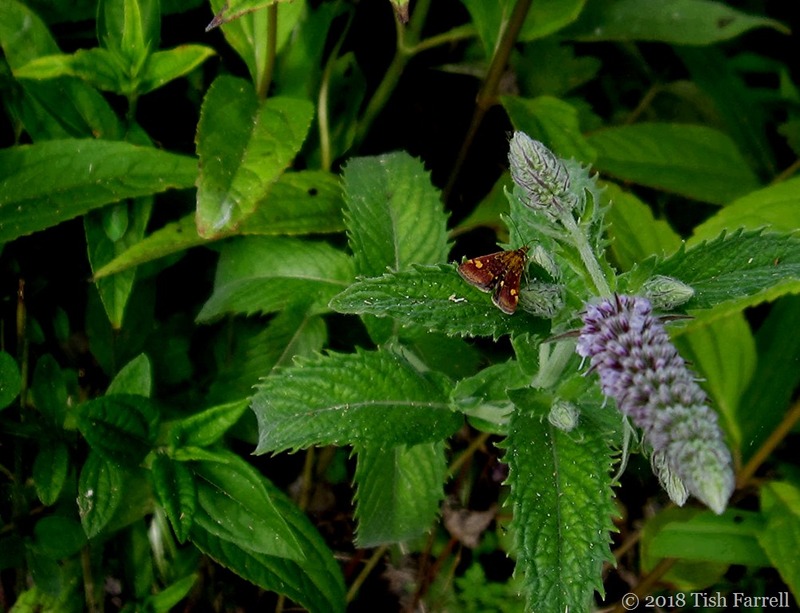 The butterfly conservation link also told me that it flew actively in sunshine (which is was doing) and particularly liked spearmint (which is where I found it and where you see it here). I confess a frisson of success: ID done and dusted.